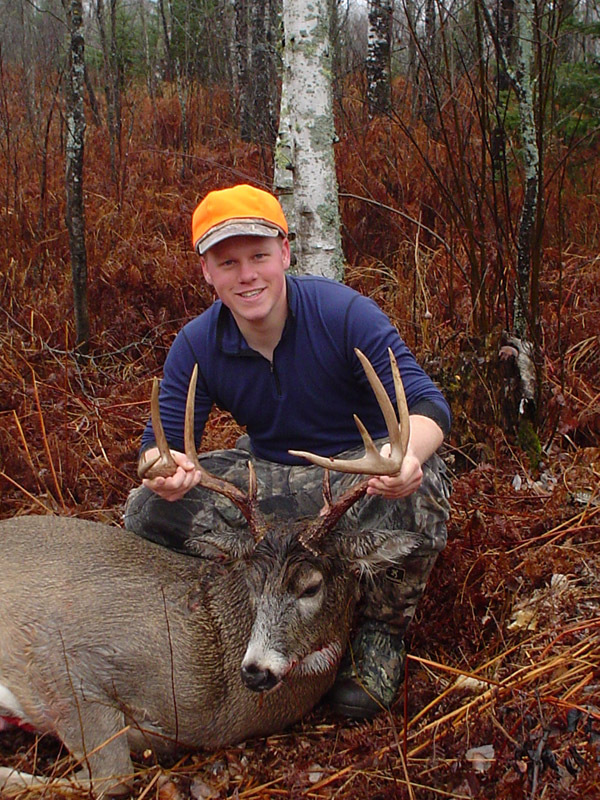 After almost 2 months of bowhunting just north of Duluth and not seeing a single buck, I was getting pretty frustrated. Opening morning of rifle season started just like the bow season had, without any buck sightings. I was hunting on the edge of some thick pines where I knew deer were bedding. There were rubs and scrapes all along the edge of the pines so I knew I was in a good spot. It was raining opening morning so it was very hard to hear anything moving. All of a sudden, on the edge of the thick stuff, was a deer. A quick look through the binoculars was enough to convince me he was a shooter. His vitals were behind a tree, so I watched him through the scope waiting for him to take another step. Rather than stepping forward, he turned and started to walk away. I made a noise which stopped and turned him just enough for me to get a shot at his vitals at about 60 yards. He went down after the shot but got up and started to run. I took a second shot which grazed his neck and chipped the base of his left antler (you can see in the pictures). 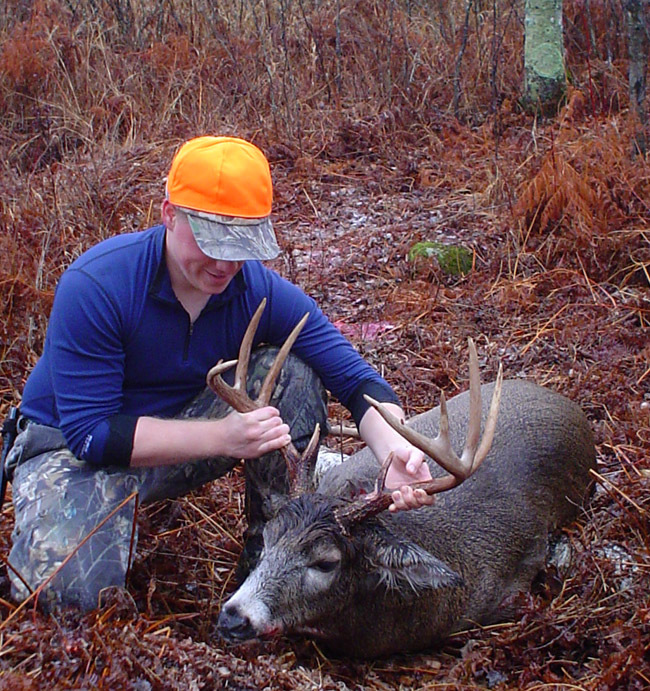 Only when I got down from the stand and went over to him did I realize just how big he was. I knew I wasn't going to be able to get him out myself, and there were other hunters in the area, so I hid him under a pile of brush and went and called for help. He dressed out at 247 pounds and we felt every bit of it getting him out of the woods.